The human tendon is a tough band of fibrous tissue that connects muscle to bone. Tendons and muscles work together to move bones. These images of human tendons were captured under the Richter Optica biological microscopes: U1 and U2LCD. 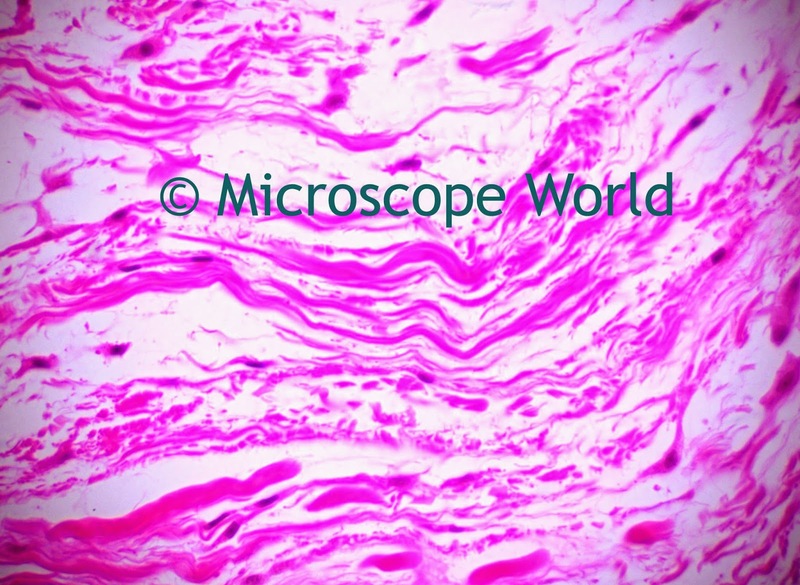 The tendon prepared slide is part of the Human Histology: Human Organ Prepared Slide Kit. 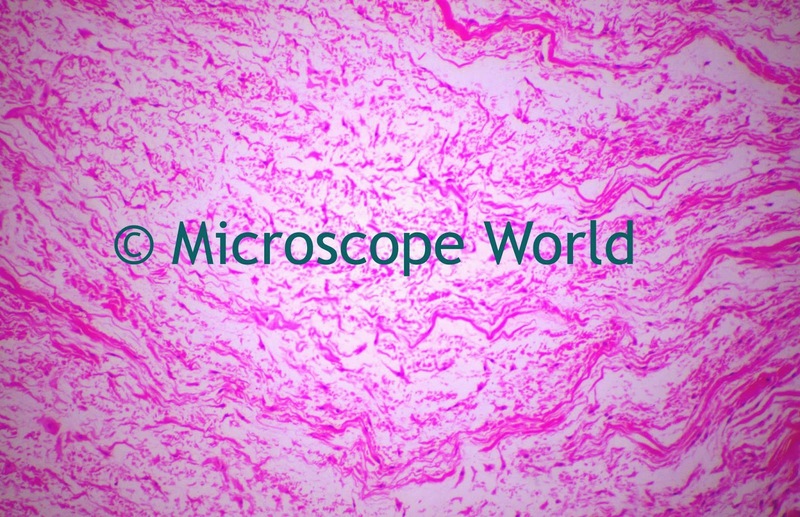 Tendon captured at 400x with the U2LCD digital microscope.